Asus' N61 range consists of multimedia machines featuring powerful components and the latest features, including Asus' own SonicMaster technology standards. This is also one of the first laptops we've seen to feature USB 3.0, the next generation of USB technology. The N61J is a powerful machine for the multimedia user, but there are a few issues here as well. One of the laptop's key selling points is the aforementioned SonicMaster standards. We found that while the stereo effect was impressive, sound wasn't as good across the full audio spectrum, and tracks generally lacked bass and depth. Although better than most laptops, we still wouldn't use this machine as a replacement for desktop speakers. Another point of note is the long awaited arrival of a USB 3.0 port – the successor to the incredibly successful USB 2.0. Designed to transfer data to external devices at far greater speeds than its predecessor, we tested the port with a Freecom external hard drive and were very impressed by the performance on offer. This will save a lot of time for those who regularly back up their entire laptop, for example. An Intel Core i7 processor is coupled with 4096MB of memory to produce excellent performance and you'll have no problem running – even concurrently – demanding photo and video editing software. 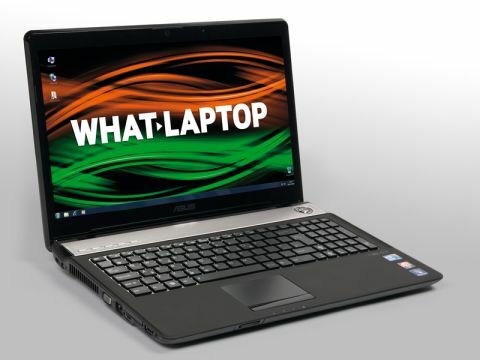 The powerful Nvidia graphics card gives this laptop the kind of power associated with gaming laptops – so gaming and editing HD video won't be a problem. Considering the laptop's multimedia aspirations, it's a surprise there isn't a Full HD screen included. Instead, a 1366 x 768-pixel resolution is used and, while it is bright and vivid in colour reproduction, we think Asus has missed a trick here. It also means that, while you can watch Blu-ray discs on the laptop's optical drive, they won't run as intended in Full HD. The 640GB hard drive will provide plenty of storage for all your files, folders and any other media libraries you'll want to carry around – allowing you to watch and edit your photos and films on the go. Due to the resource-hungry components onboard, battery life is pretty woeful. We expect 180 minutes minimum from a modern laptop and the Asus falls some way short of that, meaning you'll need to carry the charger around with you. The Asus G61J proves to be a bit of a mixed bag. The power on offer is excellent, and we were also impressed by the inclusion of USB 3.0. However, the lack of a Full HD screen is a shame, as is the underwhelming battery life and SonicMaster technology.